One of the world’s leading violin virtuosos, Joshua Bell, will perform with the Louisiana Philharmonic Orchestra (LPO) on Friday and Saturday nights in New Orleans. An Avery Fisher Prize Winner and Instrumental Musician of the Year recipient from 2010, Bell was recently named the music director of The Academy of St. Martin in the Fields. 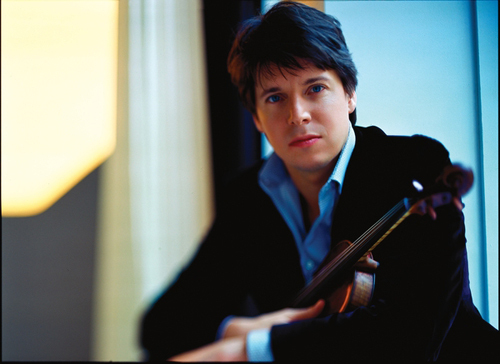 Classical superstar Joshua Bell, who performs Friday and Saturday night with the LPO. In most instances a performer of Bell’s caliber would perform one night only at the lush and roomy Mahalia Jackson Theater for the Performing Arts. However, due to the ongoing four-week engagement of “Disney’s The Lion King” at that facility, the LPO had to devise a different strategy and utilize a backup plan to hold two smaller concerts at the First Baptist Church in New Orleans, 5290 Canal Boulevard. Even though the same program will be heard both nights, there is a slight difference: the Friday night concert will begin at 7:30 p.m., while the Saturday night performance will commence at 8:00. Bell grew up on a farm in Indiana, an otherwise normal child with two sisters. His parents noticed he had strung rubber bands across a dresser drawer in an attempt to recreate the sounds he had heard on the family piano. They obtained him lessons with violin teachers, but Bell seemed as interested in video games and the play of tennis, a sport in which he excelled without instruction. Following more formalized instruction, he burst on the classical scene as a gifted performer at age 14, playing with renowned conductor Riccardo Muti and the Philadelphia Symphony Orchestra in 1982. He credits his study with pedagogue Josef Gingold as among his most important. He continued an otherwise normal childhood graduating from North Bloomfield High School in Indiana before entering Indiana University. During his college years he continued to study his chosen instrument and released his first compact disc recording at age 18. Now an exclusive Sony Records recording artist, he has since recorded a total of 36 different albums of work including the Johannes Brahms Violin Concerto he will be playing with the LPO under the musical baton of maestro and music director Carlos Miguel Prieto. Bell performs with a famous 1713 Stradivarius violin named the Gibson ex Huberman, an instrument for which he paid a reported $3.5 million. In 2007 Bell was the subject of a study in which he gave an impromptu 45-minute free concert in a subway in Washington, D.C. Of the thousands of busy workers, students and children who passed by as he played some of the most intricate pieces by Bach and other composers, only six stopped to hear him play. Only one person recognized him for the gifted recording artist he is. Bell collected a total of $32.17 that day from 27 different patrons. It was reported that earlier in the week at a concert in Boston his performance there had commanded $100 per seat. The story, as recounted in The Washington Post by Gene Weingarten, received a Pulitzer Prize in feature writing for 2007. Since 2008 the story has been widely circulated over the Internet. The LPO will fill the first half of the concert with Paul Hindemith’s Concert Music for Strings and Brass,”Opus 50 and Robert Schumann’s Symphony No 4,” Opus 120.